Ambedkar University's two new campuses in Rohini and Dheerpurare are scheduled to function from 2020. Ambedkar University, the state funded varsity in the national capital on July 27 got its new campus today with the government planning to come up with two more by 2020. BR Ambdekar University, which was established by Delhi Government in 2008 is a state funded university with a student strength of 1800. 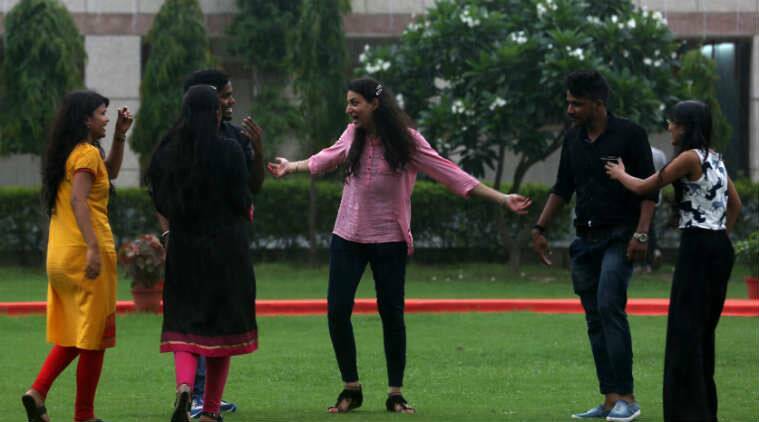 So far, the varsity has been operating from its campus in Kashmere Gate where 40 undergraduate, postgraduate and research programmes are offered. “More than half of 2.5 lakh students, who pass out of schools every year, are not able to make it to the colleges for higher studies,” said Deputy Chief Minister Manish Sisodia at the inauguration of the campus in Karampura area. “They either dropout, or make it to the colleges outside Delhi or get admission into the private colleges paying a hefty amount. How can we accommodate them?,” he added. Two new campuses in Rohini and Dheerpurare are scheduled to function from 2020. Sisodia, who is also the Education Minister, emphasised the need to scale up the capacity to accommodate more students and urged the teaching faculty and university officials to maintain the standards of education at all cost. “The proportion of increasing the seats every year by 10 to 100 will not work. Over 2.5 lakh students out of 26 lakh, including that of 16 lakh from the Government schools, pass out every year from the schools,” he said. He also stressed upon improving the quality of education and increasing the seats. Meanwhile, Vice-Chancellor Shyam Menon said the campus would expand further, and a School of Vocational Studies, Centre for Professional and Continuing Education and a Centre for English Language Teaching will be set up.